Stories were returning from the front, and wives were becoming widows. Australian men no longer enlisted in droves for a European adventure on the front lines. 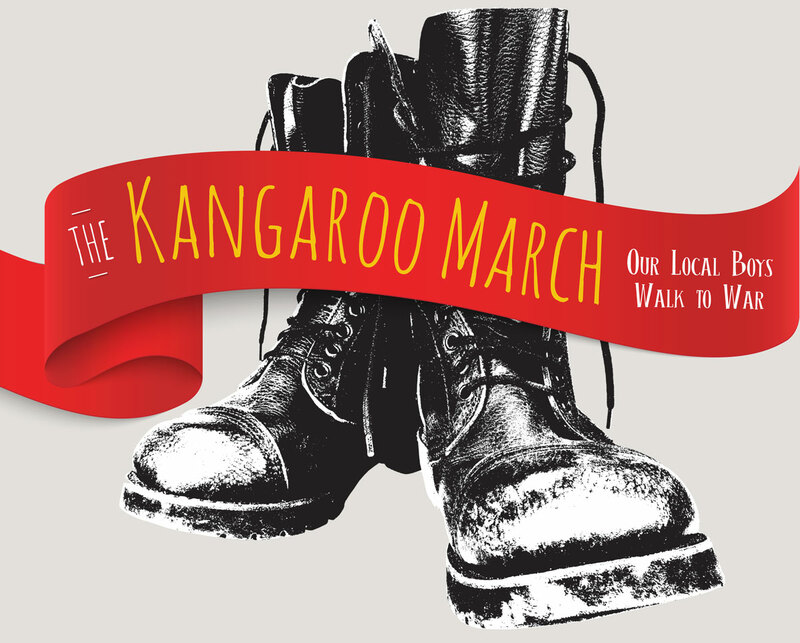 Recruitment marches arose, gathering men from rural towns as the marchers passed through, and Kangaroo was the longest march of all. The "Kangaroos" travelled from Wagga Wagga, Brucedale and Harefield, through Junee, Illabo, Bethungra, Cootamundra, Wallendbeen, Galong, Goondah, Binalong, Bowning, Yass, Goulburn, Wingello, Bundanoon, Sutton Forest, Moss Vale, Mittagong, Picton, Camden, Campbelltown and Petersham collecting volunteers along the way, to end at The Domain in Sydney. This exhibition commemorates the ANZAC centenary and is a collaboration between the Museum of the Riverina and historian and author, Sherry Morris. The Kangaroo March 1915: Our Local Boys Walk to War is on exhibition from 1 December 2015 to 31 Jan 2016 at our Historic Council Chambers site (location and opening times here). On 5 December to mark the opening of the exhibition, The Kapooka Army band and historian Jillian Durance staged a musical journey back to the war era. You can h ear the songs that filled the air as our Kangaroos marched out of Wagga, the tunes that kept spirits high at the front, and the melodies hummed back home in times of farewell, longing, mourning and victory.